KFOR names Mason Dunn as new chopper pilot! A familiar voice is returning to the Oklahoma storm chasing scene! 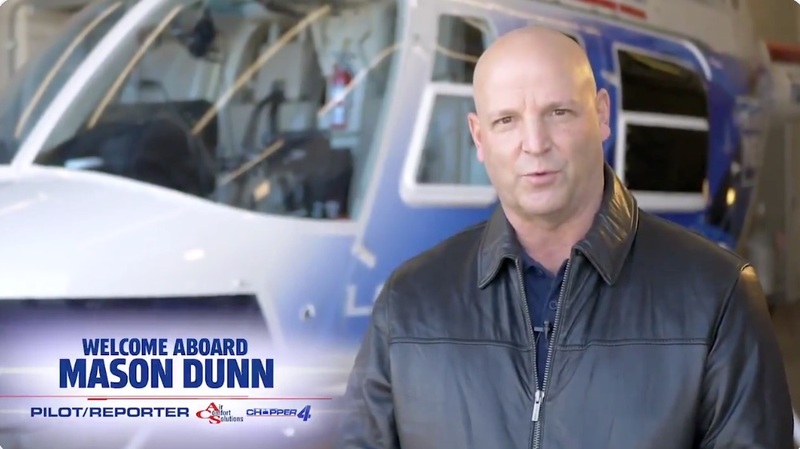 Earlier today, KFOR Channel 4 announced that Mason Dunn – Gary England’s old chopper pilot at Channel 9 – will be the new pilot of Not Bob Moore Air Comfort Solutions Chopper 4. Mason will be replacing Jon Welsh, who replaced Jim Gardner in 2012, when Jim replaced Mason at Channel 9. Got all that? According to the Ogle Mole Network, Mason was fired from News 9 in 2011 because he refused to follow management orders and break FAA regulations that prohibit pilots from flying a certain amount of consecutive hours. Or he was the person caught eating Dean Blevins’ SmartOnes. I honestly can’t remember which one. What’s going on with Channel 25’s Living Oklahoma??? So where is Jon? He’s one of the very few news folks I truly liked. Ditto Carl’s question …where did he go…and why??? According to the news broadcast earlier today, Jon accepted a job offer to fly for US Border Patrol and Customs. Just in time to not get paid!! Seems like there has been some reshuffling going on for years. Maybe that is normal. Truth might be, all the pilots might be replaced by drones some day soon. And some kid with video game experience might replace them. Just a thought, I’ve been wrong before. Interesting idea about the drones, they would still need someone in the studio to describe the video. And of course with the chopper sounds dubbed in loud enough to make it hard to understand. Yeah I hadn’t thought of that. Thanks.